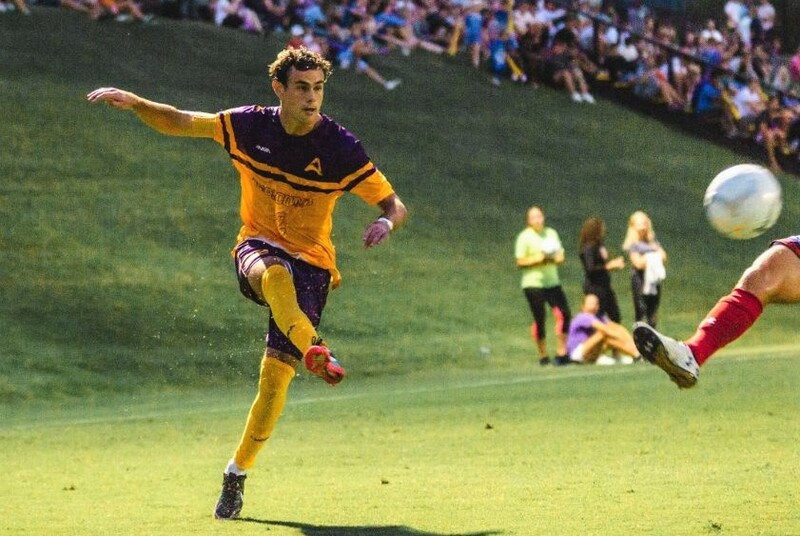 The Lipscomb men’s soccer team is in a bit of an offensive funk. Following road losses to South Carolina and Georgia State, the Bisons dropped a 1-0 contest to visiting San Diego Thursday evening. Lipscomb fired 11 total shots, five of which were on target, but was unable to find the back of the net. The Bisons have managed just two goals during their three-game skid. San Diego’s lone tally in the 66th minute proved to be enough for a victory. Torero forward Reuben Dass took advantage on a counter attack and deposited a shot into the upper-left corner of the net after the ball appeared to deflect off Lipscomb goalkeeper Chris Zappia. Lipscomb freshman Scott Gulden slid a ball past San Diego’s Matt Wiher, only to have the goal waved off for a foul. Ryan Dougherty, Logan Paynter and John Wynia each had scoring chances in the second half, but none were able to get by Wiher. Lipscomb took a thrilling 3-2 victory at San Diego in double overtime last season. But this time around, the roles were reversed. The Bisons have nearly 10 days to prepare for their next game, giving Morrow’s squad a chance to take care of nagging injuries. “We have several guys injured, so having a little break here will give us an opportunity to get some of those guys back,” Morrow said. Lipscomb will host ETSU on Saturday, Sept. 15. Kick-off is set for 7 p.m.